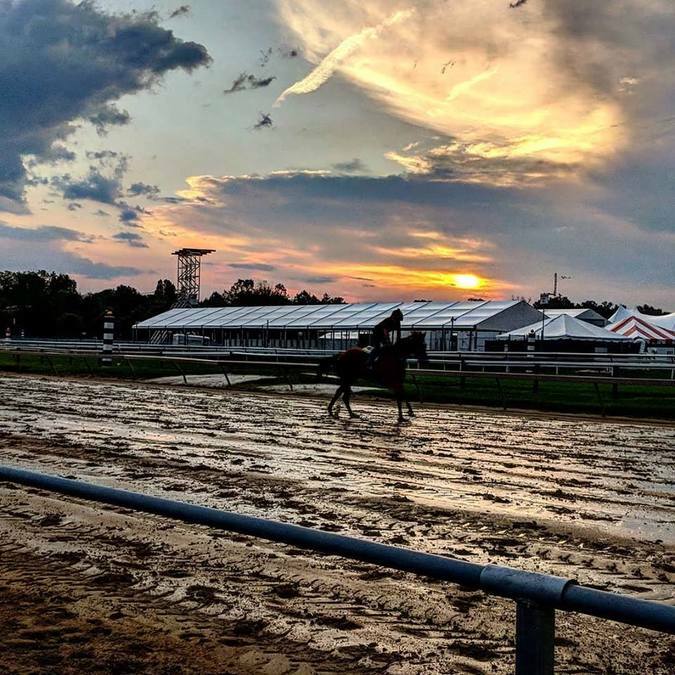 On Thursday, jockeys, trainers, and owners are all coming together for the famous Alibi Breakfast at the Pimlico to share stories and insight about horse racing. At the breakfast, there will likely be a lot of talk about Kentucky Derby winner Justify and if he has what it takes to win another jewel in the triple crown. We know Justify was nursing a foot injury he got after the Kentucky Derby, but his trainer, Bob Baffert, says he's confident in Justify's ability to get the job done on Saturday. Justify arrived at Pimlico Wednesday afternoon to a mob of photographers. Baffert took him on a little trip around the stables to get him acclimated to his new surroundings and what will be his new home for the next few days. "He's a powerhouse. He's a big boy. He was pushing me around. I was leading him around there and he's still on." And on Thursday jockeys, trainers, and owners are coming together not as competitors, but as friends for the Alibi Breakfast. This is a tradition that dates back to the 1930's, the trainers either tout the merits of their horses or give alibis for why their horses aren't racing so well. There's also the crab derby festival at Lexington Market on Thursday that goes from 4 p.m. to 8 p.m. The post time for the crab racing is at 6 p.m. and there will be music, food, and drinks, but don't forget to buy a ticket! Kids under 16-years-old are free.